When I was a kid, it was a joy to tune into whatever version of Power Rangers was playing. The original show, Mighty Morphin’ Power Rangers, was such a touchstone in my childhood that I’ve never really outgrown it and still have fun revisiting the show when I can, no matter how silly it can be. When I saw that a big budget movie reboot was in the works, I was equally excited an nervous. It’s pretty hard to mess up something so straightforward as Power Rangers, but I believe Hollywood can ruin anything if they put their minds to it. 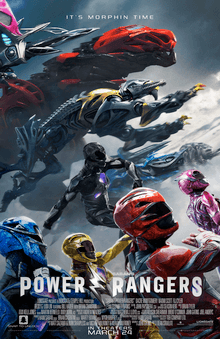 I went and saw the new Power Rangers movie opening night, and I’m so relieved to say that while it isn’t a masterpiece, it’s still a entertaining time at the movies and a great way to reboot the concept for the big screen. After accidentally finding mysterious crystals at the edge of a mine, five teenagers from Angel Grove are about to experience something they never thought possible. Jason (Dacre Montgomery) is a disgraced athlete whose only friends at this point is Billy (R.J. Cyler), an autistic loner who has a penchant for technology, and Kimberly (Naomi Scott), a former cheerleader who also has disgraced herself out of that particular group. These three, along with the new girl Trini (Becky G) and outcast Zack (Ludi Lin) notice how much their strength has increased since finding these crystals. Upon further investigation at the mine, they find an ancient spaceship and meet its only inhabitant, Alpha 5 (Bill Hader) who awakens the mysterious entity, Zordon (Bryan Cranston). Zordon and Alpha 5 explain to the teenagers that they are the next Power Rangers, whose task it is is to defend the planet and the Zeo Crystals from any and all threats. The newest threat is one Zordon knows very well. His arch enemy Rita Repulsa (Elizabeth Banks) has awakened after thousands of years and will use the Zeo Crystals to take over the world with her minion known as Goldar. Now the five teenagers have to work together to find their inner power and learn to understand and respect one another. Only then can they truly become the Power Rangers. I had such high hopes for this movie, but deep down I expected it to fail completely. That’s why I still can’t believe how much I enjoyed it. First off, the new group of teenagers are great, and the decision to make them outcasts rather than the perfect role models was a good choice for a modern update. The first act of the movie really establishes their personalities and dynamics with one another while also giving you brief glimpses into their lives which are then elaborated on in a moving scene towards the middle of the movie. A moving scene? In a Power Rangers movie? Who would have guessed it? The whole idea of them learning to trust and understand each other in order to morph fits in well with the show, but I can see people getting off put by this difference. We also get really solid performances by all of them, with the stand out being R.J. Cyler as Billy. 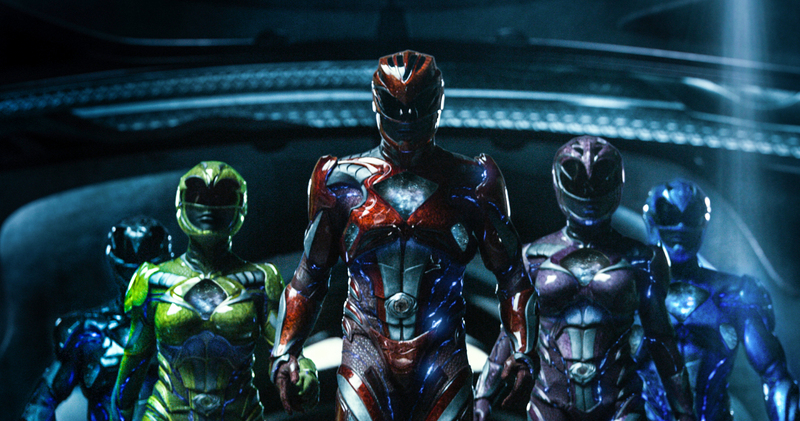 Where Power Rangers starts to get lost is in the second act of the movie. Without spoiling anything, this is where the real meat and bones of the story happens, and while there’s a lot to fit in, the whole thing starts to really drag out. This is where Alpha-5, Zordon, and Rita are introduced, which is all really cool, but that happens towards the beginning of the second act. The rest of this it is all character building, which is necessary, but there were scenes where I thought the whole thing could have been cut completely. There’s one weird decision that was sort of the straw that broke the camel’s back. Something happens that feels really forced and long winded that made me start to get really antsy. I knew that the suits would be saved for the finale, but it was at this point that I just wanted the story to move along since certain plot points finally ran out of steam. Instead of moving on, however, things just kept on going. Once the third act hits, however, it gets awesome. This is one the Rangers finally get suited up for the big showdown and it’s so much fun. The Zords all look awesome, and while some of the CGI gets a little wonky, it has this gleeful over the top element about it that is impossible to resist. It also helps that the movie took so much time to give the team distinct personalities and backstories to make me feel invested in their efforts. There were parts towards the end where I was actually on the edge of my seat, desperate to see the Power Rangers win. It’s something I can remember feeling as a kid and it was really exciting to feel it again. I just wish that it lasted a little bit longer, because I was really enjoying the spectacle. If some of the unnecessary scenes in the middle of the movie were trimmed down or cut, and the finale made longer, I would have been a very happy camper. I really can’t believe I’m saying this, but Power Rangers is actually a good movie. It’s by no means a masterpiece, but it’s a fun, nostalgic hit of adrenaline and it succeeded in modernizing the lore and turning it into a big budget action extravaganza. The pacing of the movie can be a little weird, and there are some plot holes and inconsistencies that you may notice if you look hard enough. Even with that, the characters are great and everyone seems to be giving their all. We live in a world where the new Power Rangers movie is better than a movie called Batman v. Superman.